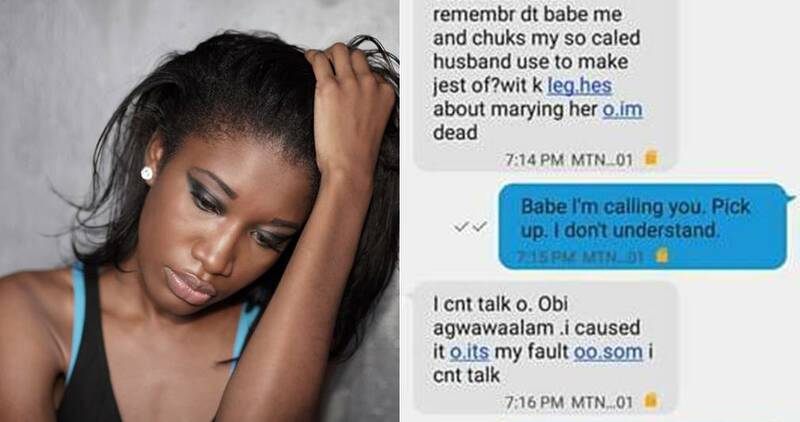 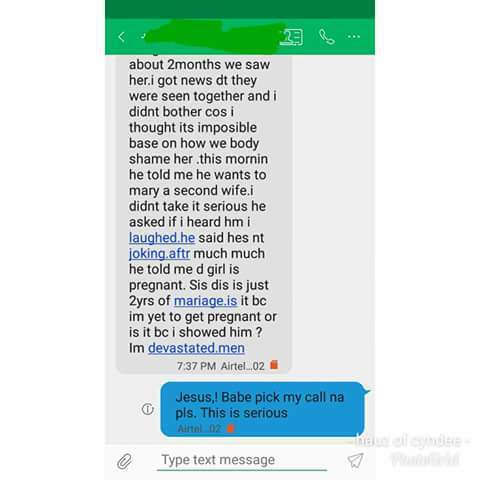 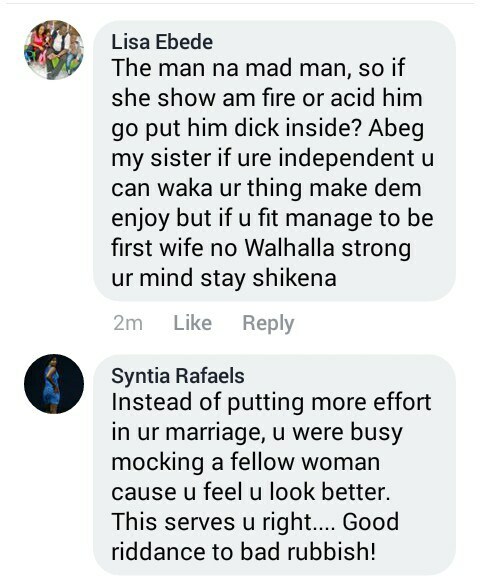 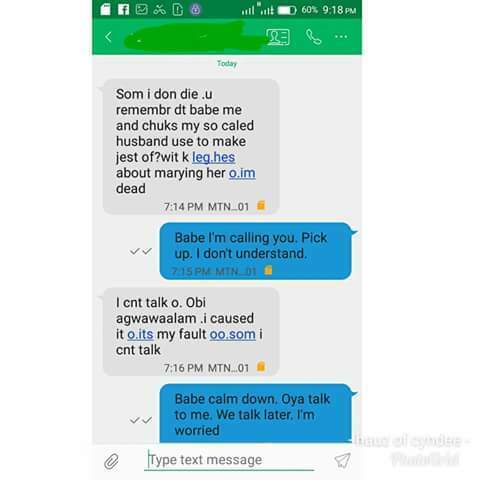 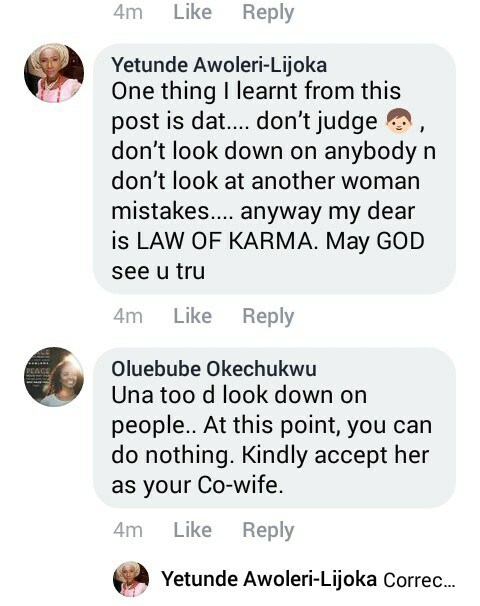 A Nigerian lady Cynthia Ekwueme posted screenshot of chats she had with her friend who is married but got the shock of her life as her husband is about to marry a girl they both body shamed because She has K leg. 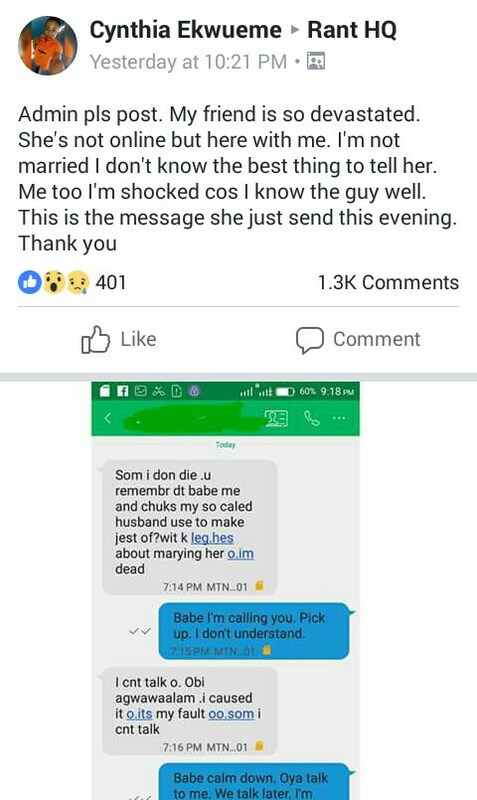 She was so shocked that she couldn’t pick up calls. 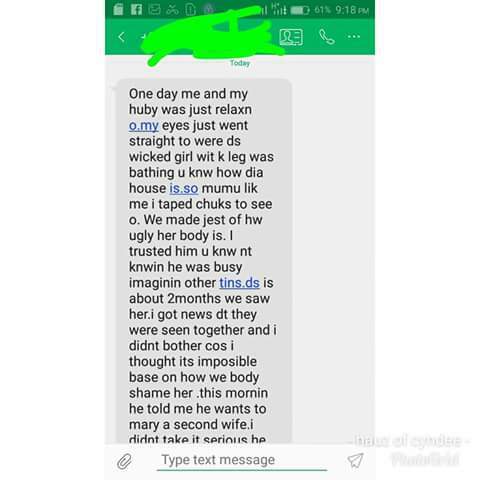 She never expected her hubby to go after the girl.